Kevin Coan is a business lawyer who focuses his practice primarily on solving complex problems and minimizing legal risks faced by closely held businesses and their owners. Mr. Coan has a particular emphasis in business transactions, employment law, business disputes and real estate disputes. He provides his clients with advice on everyday matters, and if necessary, protects their interests in litigation. Mr. Coan also assists clients with prosecuting and defending non-compete matters, commercial disputes, real estate matters, and shareholder disputes in state and federal courts throughout the country. He also works closely with business owners and human resource professionals on a regular basis regarding employment law issues nationwide, including wage and hour issues and audits, leave administration, investigations, the FMLA, ADA accommodations, background checks, termination, discipline and drug and alcohol testing. He counsels on the drafting and updating of employee handbooks, employment and separation agreements and other employment-related issues. Mr. Coan also represents companies and executives in negotiating employment, separation and consulting agreements. Mr. Coan joined Hinshaw & Culbertson LLP in July 2010. 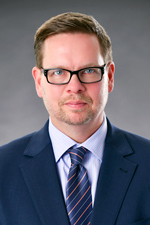 Previously, he was a partner in the Minneapolis office of Barnes & Thornburg LLP. Mr. Coan began his legal career in 1999 as an associate at Parsinen Kaplan Rosberg and Gotlieb, P.A., in Minneapolis. He became a partner there in 2005. In July 2009, The Parsinen firm combined with Barnes & Thornburg. Mr. Coan graduated in the top 10 percent of both his law school and undergraduate classes. During law school, he was a research assistant to Professor Neil Hamilton and received multiple CALI "Highest Grade Awards." He also received the Phi Delta Phi Legal Ethics Award and was a co-recipient of the "Best Article Award" (1998–1999) from Bench & Bar of Minnesota. "Adult Bullying in Multi-Family Housing Communities," Mankato Multi-Housing Association, Mankato, Minnesota, November 2015." "Competition Issues," "Negotiation Strategies," "Contract Ethics," National Business Institute, Webcast, September 2015. "Best Practices: Terminations and Social Media Issues," Hospitality Association Seminar, St. Paul, Minnesota, November, 2014. "Employment Law Issues in the Sale of a Business," Hinshaw seminar, Chicago, Illinois, May, 2013. "Advanced Employment Counseling Workshop" at Hinshaw’s Annual Labor & Employment Seminar, Hoffman Estates, Illinois, October 2012. "Competition Issues," "Negotiation Strategies," and "Contract Ethics," National Business Institute seminar," Business Contracts A to Z," live webcast, January 2012. "Ask the HR Director," Minnesota Multi-Housing Association 2007 Working Together Conference, Minneapolis, Minnesota, March 2007. "The Legalities of Hiring, Firing & Disciplining Employees," Minnesota Multi-Housing Association, Minneapolis, Minnesota, November 2004. "Employment Law Issues in the Sale of a Business," Hinshaw & Culbertson LLP CLE seminar, May 2013. "Marital Discrimination Laws," Hinshaw & Culbertson LLP CLE seminar, May 2011. "Employment Law Overview," General Manager Conference, St. Paul, Minnesota, June 2013. "Ethical Walls, Migrating Lawyers and Former Client Conflicts," co-author, 55 Minn. Bench &B. 24 (Nov./Dec. 1998). "Are We a Profession or Merely a Business? The Erosion of the Conflicts Rules Through the Increased Use of Ethical Walls," co-author, 27 HOFSTRA L. REV. 57 (1998).